Course improvements addressed can be derived from a variety of sources, including, but not limited to, student feedback from the myExperience survey. Improvements addressed may relate to specific course assets including resources, activities, support and/or evaluation (RASE). What does the myFeedback matters link look like? 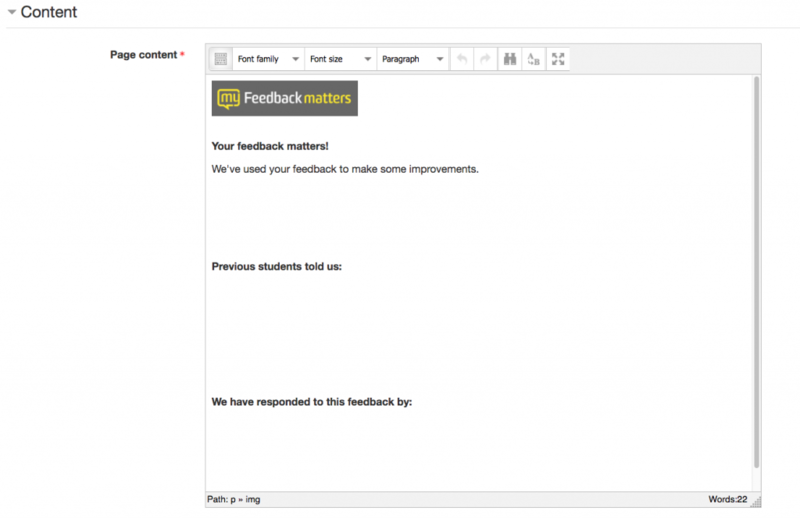 How do I close the feedback loop using myFeedback matters? The information below will guide you through updating student feedback in Moodle.